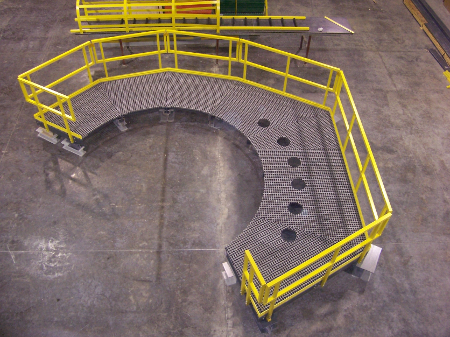 IGF offers the industry's finest FRP platform kits, turn-key platforms, ladders and handrails. 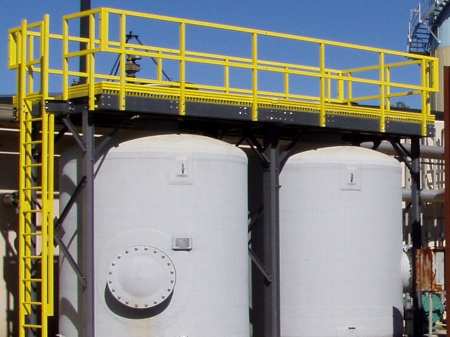 FRP combines corrosion resistance, long life and low maintenance making it superior to metal systems. 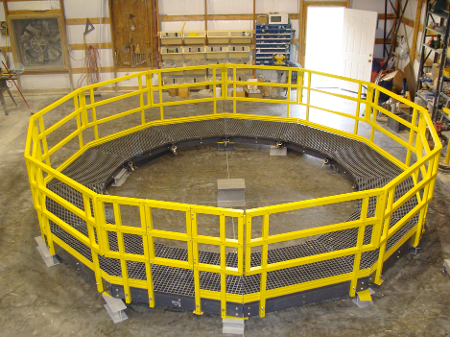 Components are lightweight and easy to fabricate making installation easier. 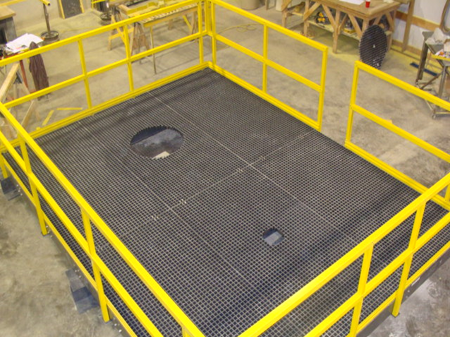 Platforms are made using IGF molded and pultruded grating along with pultruded structurals. PE stamped calculations (available for most states) can be provided at an additional cost. Heavy duty versions are also available. Please contact IGF for a quotation.